Liposuction is the number one cosmetic procedure in America. In the past, liposuction was invasive, risky and required that a person stay in the hospital for several days. Today, there are different types of liposuction that are minimally invasive and can be performed as outpatient procedures. One of the most popular types of liposuction is laser lipo. Laser lipo involves using laser technology to liquefy the fat cells. One session of laser liposuction can be completed in less than 45 minutes. Laser lipo is also a lot less expensive than traditional lipo. 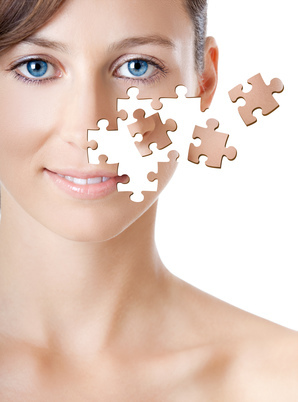 A nose job is performed to alter the size or shape of the nose. It is the second-most popular type of cosmetic surgery performed in the United States. The surgeon’s technique depends on the patient’s needs and wants. Today, patients have the option of getting a non-surgical nose job. This procedure involves injecting fillers around areas of the nose. A non-surgical nose job can correct bumps and humps. However, it may not be able to alter the size of the nose. Nearly 300,000 women underwent breast augmentation in 2005. Breast augmentation is a procedure that involves increasing the size of the breasts. Breast augmentation is safe, but there have been cases reported of women whose implants have ruptured. That is why the FDA approved silicone gel implants in the November of 2006. Silicone gel implants have thicker shells, which makes them less likely to rupture. A tummy tuck is a procedure that helps remove loose skin and fat from around the abdominal region. People who have given birth or lost large amounts of weight often have loose, sagging skin. A tummy tuck may be performed along with liposuction. Today, patients have the option of getting a mini-tummy tuck. A mini-tummy tuck is a surgery that removes fat and skin from the lower region of the abdomen. It takes six weeks to recover from a traditional tummy tuck, and it may take up a year to see the finished result. Most patients fully recover from a mini-tummy tuck within three weeks, and the results may be visible in as little as a month. Botox is a non-invasive cosmetic procedure. In involves injecting a botulinium toxin into the skin in order to eliminate fine lines and wrinkles. Most people who get Botox will experience mild discomfort, but that will usually subside within a few seconds. The results of Botox are not permanent, and people will have to get periodic injections to maintain the results. Most treatments last between three and six months. I think it is important that you not only consider your budget, but you also have to give thoughts about where or to whom you’re gonna entrust the procedures. There are a lot of surgeries that had gone astray and instead of being beautiful, you might end up living the rest of your life with a bad mark. Great post. I also would have loved it if you have included cost range/estimation for each surgery.